Bob: Thanks again! I will have to take some heaver soil with me this year when the weather get hot or run into sander soil. This is one of the reasons I like lawn that are sprinkled. More moles and heaver soil. I have caught Moles without digging but i have missed enough that way that i absolutely refuse to set traps that way. I have maybe enough misses with set traps under the surface with OOS that i can count on one hand in a year. We caught 1,326 moles in 2018. Opening up the run, setting trap, and recovering should take about the same time as cutting a run to set trap in when setting in top. I have done it enough i could set the trap blindfolded in 30 seconds. Matter of fact i have had my son time that 2 times. I teach my students exactly how to set the traps for effective and consistent mole catches. First half of the day they watch and learn locations for setting. Then i talk them thru exactly how i set traps as they do it...everything from digging the hole to setting trap to setting trap off first time to making the dam to covering trap. Then the rest of the day and next day we continue to learn location and i set one trap then their turn then mine. By 3rd day they are setting the trap exactly how i do it and placing traps in the right runs the way i pick em. You must look like a Jack Russell Terrier digging up a gopher setting a OOS in 30 sec. LOL I am lucky if I can set the OOS in 30 sec. Again good information! The old saying, " Haste make waste", place the trap in the right tunnel and the rest is history. Alan shows the tool he sells for above ground setting, its for sale on his site. The pro's on here are a much better source then me for info. Both Bob and Trapper have decades in mole trapping, You can't go wrong in absorbing the experience they freely give. We have a variety of moles here. At times I will catch 3 species on one job. 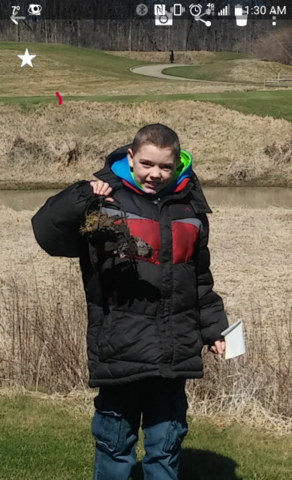 I can catch hairy tails, and Eastern moles in the same lawn and if they have a wet bottom along a creek for example I can catch a star nosed mole. I have never seen a Hairy Tail mole in this part of Michigan. I am on the far West side of Mi.